46 young activists from 11 countries come together to share and learn about practical strategies that propel social and ecological change. 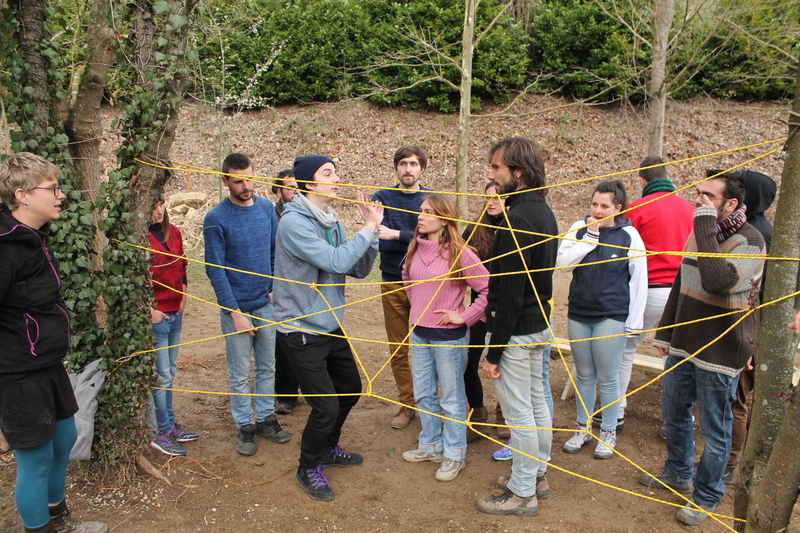 In 2016, 46 young activists attended to two different Training Courses in the volcanic region of The Garrotxa, northern Spain, in order to learn and share with each other about how to work towards social and ecological change. Both trainings were organized and facilitated by local activists and professionals from the non-profit cooperative Resilience Earth, and who work in the areas of ecological sustainability, community resiliency, economic sovereignty and personal empowerment. The trainers used highly participatory and hands-on activities to teach about their topics, and participants from both trainings were able to visit multiple local organisations and projects that work for social and ecological change. The first training was titled “Transition Youth” and brought together 30 youth from Spain, Italy and Portugal to visit regions that are known for their strong social and/or ecological movements. The project was inspired by the concept of Transition Towns, which promotes the social and ecological sustainability of towns and cities. All 30 youth visited each different country for one week, where they learned about and practised permaculture and other methods that help build more sustainable communities. The second training was titled "Youth Changemakers Training” and it was directed towards experienced activists under 30 years of age. 16 youth from 10 different countries attended an 8-day training located in the Garrotxa region. During the training, they shared their inspiring stories about why and how they work towards social and ecological transformation. One participant said, "After understanding how my social system works, I felt the need to change myself first, and then my community." One participant said, "It was inspiring to see a large majority of Spanish people are not happy with the modern (consumer) lifestyle and want to change it, starting by their communities." One participant said,"It was amazing to see the (community park) project in Sant Feliu de Pallerols. It has so much potential and is so inspiring." One participant said, "I really liked learning about the influence our belief systems have on the way we communicate with others. This really helped me understand about intercultural learning better."